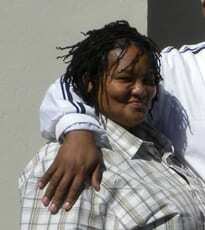 Crispin Barrett is one of our sponsors from the City of Cape Town’s Environmental Resource Management Department. Crispin works downtown in the city and meets with us both in his office and on site in MGV. Our team meets with Crispin regularly to discuss progress of the project as well as useful contacts and research resources. 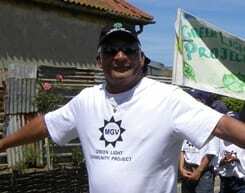 Juan Nomdo is also one of our sponsors from the City of Cape Town. Juan works in the Environmental Resource and Heritage Management Department. Juan meets with us weekly to discuss the direction of the project and offer advice and suggestions for next steps. Megan Lukas is an Environmental Control Officer working for the City of Cape Town’s Environmental Resource Management department. She is heavily involved with Two Rivers Urban Park (TRUP), a project aimed at revitalizing the Liesbeek and Black River areas through spatial development and management. 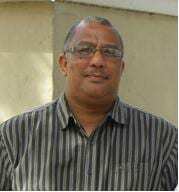 Clive James is the Head of Environmental Management for the City of Cape Town. He sees many possibilities for the Maitland Garden Village area through heritage and agriculture as well as the long term implications of a pathway project, such as addressing the invasive water hyacinth removal. Ronell Trout is a lifelong resident of Maitland Garden Village as well as a chairperson and founder for the Green Light Project. She is driven to serve community development and expresses her thoughts and concerns through every step of the project, proving an invaluable asset to our project. This is her second year working with WPI students but her first working with a project along the Black River. 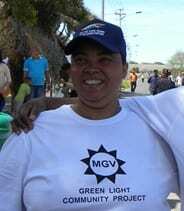 Sheila is a former resident of Maitland Garden Village who remains invested in MGV’s community growth as a chairperson and founder for the Green Light Project. She serves as the main connection between our project and the Maitland Garden Village and Oude Molen Eco Village communities. This is her second year working with WPI students but her first working with a project along the Black River. 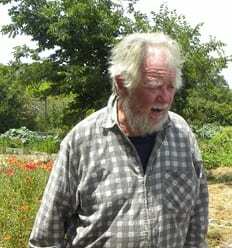 John “Jonno” Kennedy lives in Oude Molen Eco Village and runs Food Garden Village. His daily work entails running the garden and conducting multiple programmes from training to school trips. Through Food Garden Village, Jonno has taught people gardening skills that allow them to grow their own food, which some grow for their own homes, to sell, or both. As a teacher, Jonno once taught classes ranging from math and history to technical drawing. Now as a pensioner, he has dedicated his time to empowering people through community programmes. Martin is a lifelong resident of Maitland Garden Village and leader of the Green Light Project’s Gardening Club. He is also a member of the Roaring Sixties, a senior citizens recreational group in MGV. His knowledge of Black River and surrounding area is extensive and insightful. He spends his free time gardening at his home and in the community garden behind the Methodist Church, and staying involved with various community events and meetings. Scott Juisto is a professor at Worcester Polytechnic Institute in Worcester Massachusetts, USA. He advises students throughout their Interactive Qualifying Project, an interdisciplinary graduation project that allows students to hone skills to work with others on real life issues. 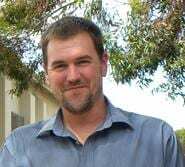 Scott is the Director of the Cape Town Project Centre and also works with students in Worcester on their IQP projects. Robert Hersh is a professor at Worcester Polytechnic Institute in Worcester Massachusetts, USA. He advises students throughout their Interactive Qualifying Project, an interdisciplinary graduation project that allows students to hone skills to work with others on real life issues. 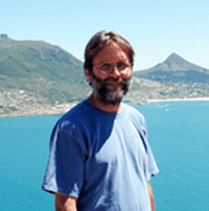 Bob works with students in both Cape Town and Worcester on their IQP projects.